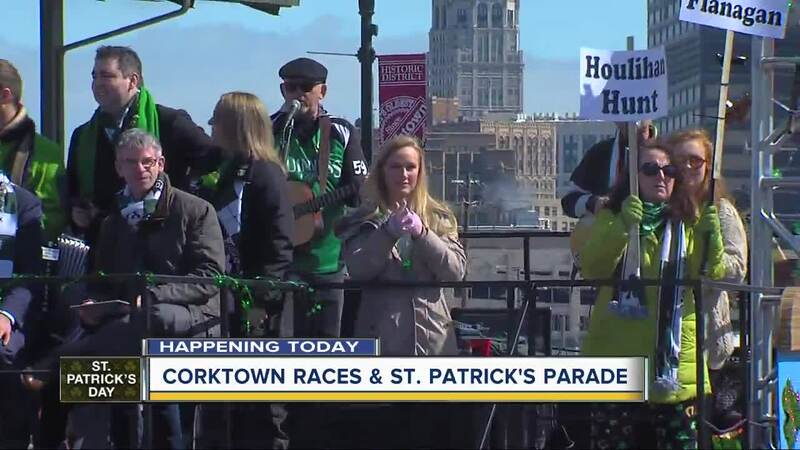 DETROIT (WXYZ) — Irish eyes will be smiling all over Corktown on Sunday, March 10, 2019 when the United Irish Societies kicks off its 61st Annual Detroit St. Patrick’s Parade. 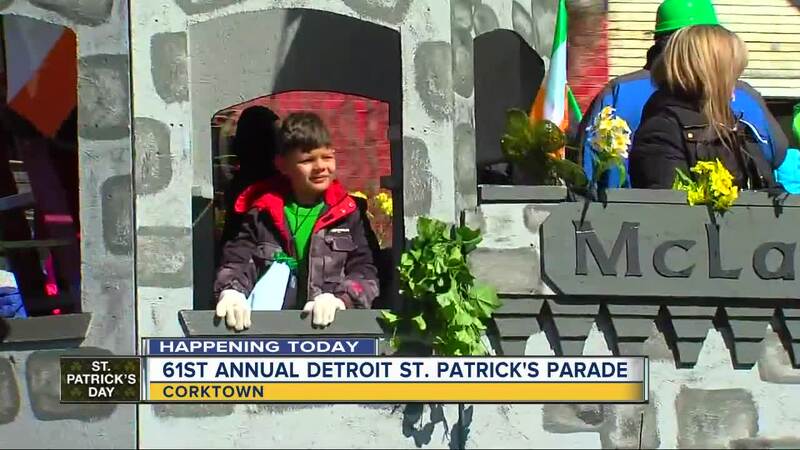 The parade begins at 1 p.m. near Sixth Street and Michigan Avenue and continues west to 14th Street in Corktown. The parade is expected to attract 80,000-100,000 people, making it one of the largest St. Patrick’s parades in the country. Paul W. Smith of WJR-AM (760) will serve as the parade’s master of ceremonies. Back by popular demand, the parade offers a Family Fun Zone - reserved, family friendly area. Located at the southeast corner of Michigan Avenue and Sixth Street, the Family Fun Zone includes live Irish entertainment, inflatable amusements, food service and private restrooms. Family Fun Zone tickets are $12/person or $60/six tickets. The parade, which includes marching and pipe & drum bands, color guard units, floats, clowns, novelty groups and marching units, moves west on Michigan Ave., passes the grandstands and disperses at 14th Street. All together, it’s comprised of more than two hours of fun. Charities benefiting from the parade include the Clark Park Coalition, The Downtown Boxing Gym Youth Program, The Children’s Center, Capuchin Soup Kitchen, UIS Scholarships Endowment Fund, St. Pat’s Senior Center and Bridges Beyond Boxing. 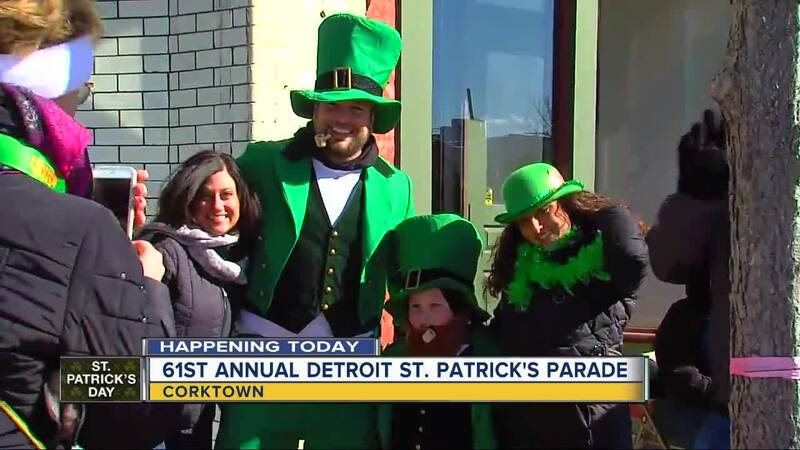 For more information on the event, visit http://www.detroitstpatricksparade.com/ or visit the parade’s Facebook Page.